Australian wombats are in grave danger, especially the bare-nosed variety found in NSW, Victoria, and Tasmania, but a new QUT Design Lab project hopes to reverse the threat of their extinction. Marcus Foth, Professor of Urban Informatics at the QUT Design Lab, is leading the research and evaluation of an Australian-first quarantine hospital burrow specifically designed to treat the deadly sarcoptic mange disease threatening bare-nosed wombats with extinction. He and his team have partnered with Sleepy Burrows Wombat Sanctuary in NSW, Australia’s largest orphanage and sanctuary for bare-nosed wombats, to conduct design-led research to document and trial a new prototype enclosure for treating manged wombats. Professor Foth and his team are conducting an extensive field study at Sleepy Burrows to examine current treatment procedures as well as consider the use of facilities from a human and wombat-perspective. 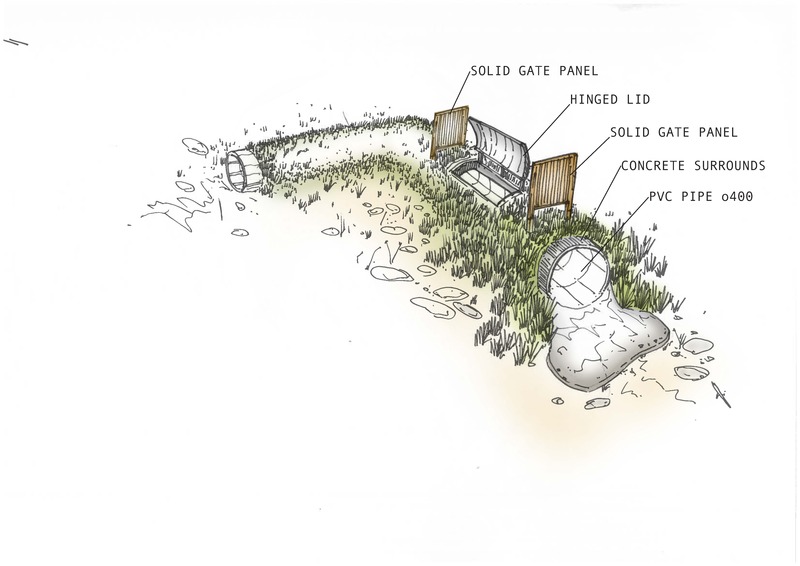 “The next phase of the project is to build and trial a hospital burrow in situ. 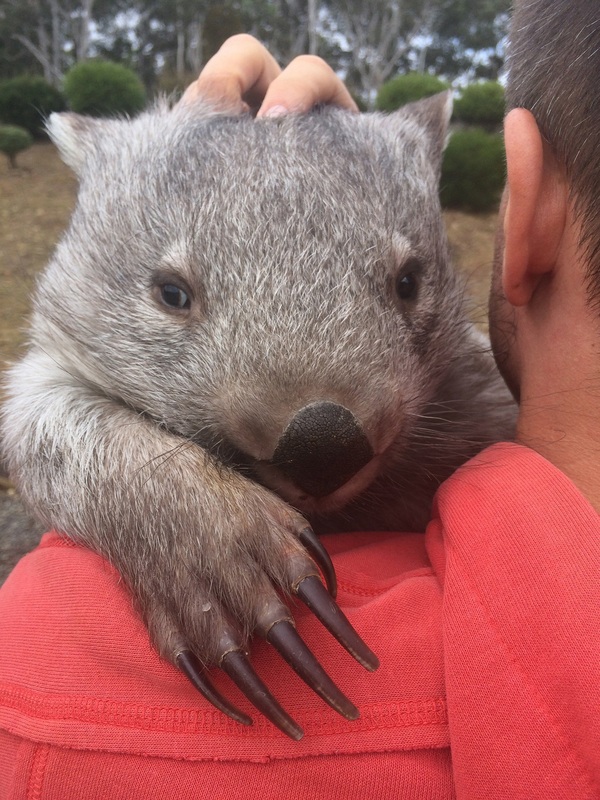 We need to be able to house a wombat in quarantine for the duration of the treatment but still within a natural environment,” said Professor Foth, who first visited the sanctuary in 2014. Professor Foth said data collected in the field would help his team analyse and refine the prototype design (see illustration below). “The burrows are to be purpose-built so sections can be lifted in order to locate a wombat underground for treatment purposes. This avoids the pitfalls of current approaches involving trapping and burrow flaps, leading to under-treatment and further suffering,” he said. “Sarcoptic mange in wombats has reached catastrophic proportions, impacting on more than 70 per cent of bare-nosed wombats and already causing the extinction of local wombat populations. “The work of Donna Stepan and her dedicated team at Sleepy Burrows is extraordinary. 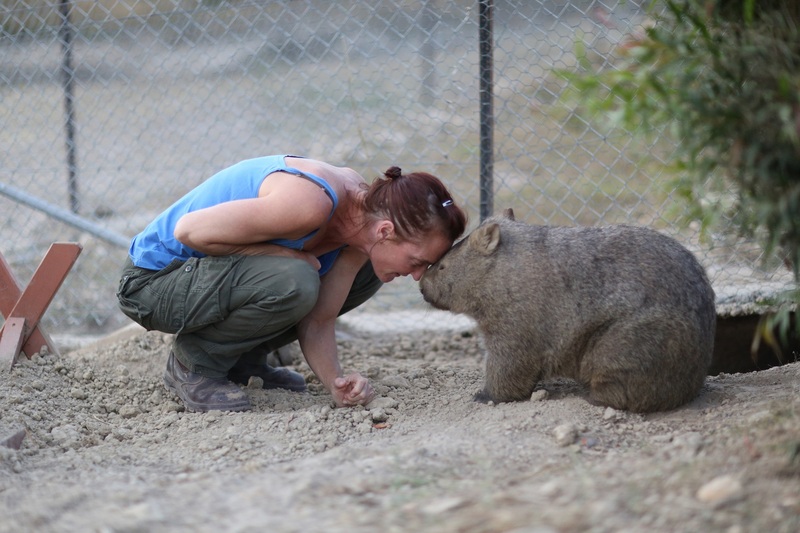 She has saved more than 700 bare-nosed wombats in the past 10 years and was last year awarded a Medal of the Order of Australia (OAM) for animal welfare. Professor Foth added that Sleepy Burrows, with the aid of QUT had produced a video to support a crowdfunding campaign to raise money for setting up quarantine hospital facilities there and at other locations throughout NSW. Ms Stepan said sarcoptic mange has increased dramatically in recent years due to large scale habitat loss, urban sprawl and wet weather events followed by heatwaves. The extremely painful condition is caused by mites and is highly contagious. “The QUT Design Lab is providing Sleepy Burrows with vital assistance in the study, documentation, and evaluation of this first prototype in order to prepare for a larger scale deployment of the hospital burrow design across Australia,” she said. 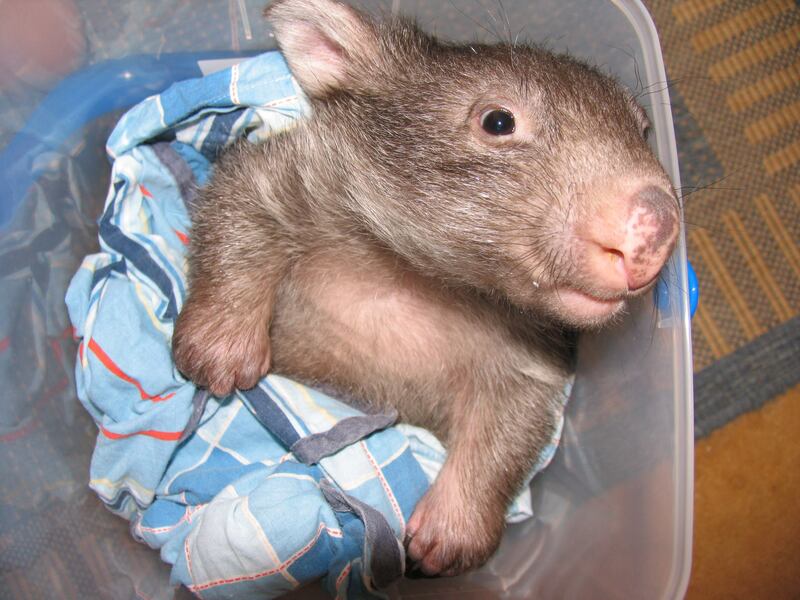 “Sadly we will most likely save just 8-10 in 100 manged wombats as most do die. Unfortunately, sarcoptic mange is flourishing due to human-induced environmental factors, which stress a wombat’s immune system. More information on the QUT Design Lab project is available online here. View the video and find out more about the crowdfunding campaign here.